Graduates of Maryville’s RN to BSN completion program have a variety of career path options available to them — both immediately following graduation and following the completion of additional education. According to the American Association of Colleges of Nursing, graduates of a BSN program are more likely to have job offers at the time of graduation compared with graduates in other fields. Here’s a look at some of the potential career opportunities for nurses available to RN to BSN graduates. From major hospitals to private practice clinics, a wide range of healthcare firms work closely with BSN graduates. Though the healthcare industry is quite diverse, and career opportunities for nurses vary, here are some sectors within healthcare that commonly employ graduates with BSN degrees. Career opportunities for nurses, especially those with a BSN degree, are numerous. With a BSN degree, graduates can go on to pursue careers in nursing within a wide range of healthcare fields. The following careers are some of the most popular for BSN graduates. A nurse manager oversees and supervises a unit of nurses. In addition to overseeing patient care, he or she is responsible for recruitment and training, as well as scheduling and budgeting. 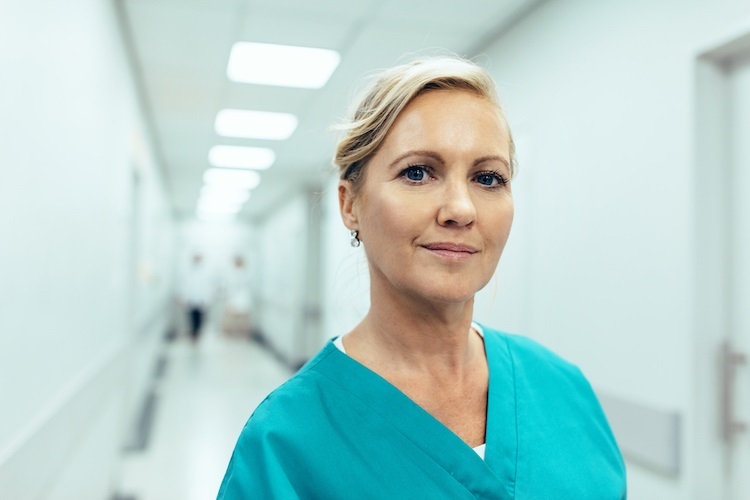 Nurse managers act as a central point of command for their units, and as such, they need to be able to provide calm and collected leadership in times of crisis in addition to providing support for their co-workers, patients, and families. Clinical nursing specialists are RNs who go on to complete a master’s or doctoral degree in nursing. These nurses specialize in a specific area of patient care, such as oncology or mental health, and both diagnose and treat patients’ conditions. They also work with nurses who are at patients’ bedsides to ensure patients are receiving the best care. As far as nursing careers opportunities go, those interested in combining their nursing knowledge with education may want to consider the role of a nurse educator. As BSN-prepared RNs, clinical nursing educators are responsible for delivering hands-on teaching experience in a variety of settings, including hospitals, clinics, and extended-care facilities. In addition to having extensive nursing knowledge in their areas of instruction, nurse educators must have a passion for teaching and be committed to lifelong learning to keep up with best practices in the field. Nursing meets information management and data analysis in a career as a nursing informatics specialist. Nurses in this specialty are tasked with managing and communicating information and data such as patient charts. Increasing the efficiency of data management within healthcare can significantly contribute to lower operating costs, making the job of an informatics specialist especially important. Nursing informatics specialists work in a variety of environments, including hospitals, clinics, and nursing homes. Geriatric nurses specialize in assisting the elderly and their families as they cope with age-specific health issues such as Alzheimer’s and osteoporosis. As such, a large part of a geriatric nurse’s job is focused on preventive care. These nurses help elderly patients rehabilitate from injury, care for bedridden patients, and assist those with mental health issues. Geriatric nurses can work in hospitals, extended-care facilities, and hospice centers, as well as for organizations that offer home healthcare. Genetics nurses use their special training in genetics to assist patients suffering from or at risk of a hereditary disease. These nurses conduct genetic-related research and provide education on the topic to patients and their families. They use detailed family histories to assess the presence of any genetic risk factors and better treat their patients. Genetics nurses work in a variety of settings, including hospitals, academic research facilities, and private clinics specializing in gene-based diagnoses. Critical care nurses specialize in caring for patients with life-threatening conditions. They are responsible for providing “intense and vigilant” nursing care, according to the American Association of Critical-Care Nurses. Critical care nurses often work in intensive care units, as well as emergency departments, cardiac care units, and recovery rooms. Public health, the discipline that focuses on the overall health of a specific population, is another area that requires nurses. The work of a public health nurse takes into account a number of factors that contribute to the health of a community and its members, including access to education, socioeconomic standing, and other community-specific risk factors. Public health nurses work for nonprofits, community health centers, and governmental agencies. Completing an RN to BSN program can help an aspiring healthcare professional pursue a number of different and exciting nursing careers. By acquiring a BSN, an individual will have the chance to delve into the science of nursing, mastering a wide range of tools and skills that can help them to deliver effective care to patients in need. Learn more about Maryville University’s RN to BSN online and start working your way toward one of these rewarding careers in nursing. Now that you better understand potential career opportunities for nurses, discover the difference between an RN and a BSN.